These are the most common myths about Aluminum Tooling. Our team has been creating prototypes and production volumes from Aluminum Molds since the late 1970’s. And continue to have great success with Aluminum Tools to this day. 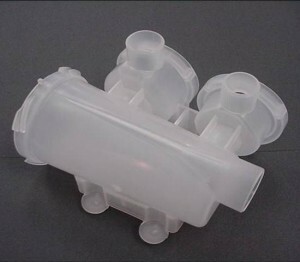 Recently due to a variety of factors ranging from cost, lead times, volumes etc Aluminum tooling for injection molded plastic parts has started peaking the interest of major OEM’s. In fact a very major OEM just did a study comparing P 20 tooling vs Aluminum Alloys. Their results weren’t really a surprise to us, we’ve known all this time about the great processing qualities and successful injection molded product Aluminum tools create. There still is quite a bit of misconception out there about how Aluminum tooling fits into manufacturing injection molded plastic prototypes and production quality plastic parts. 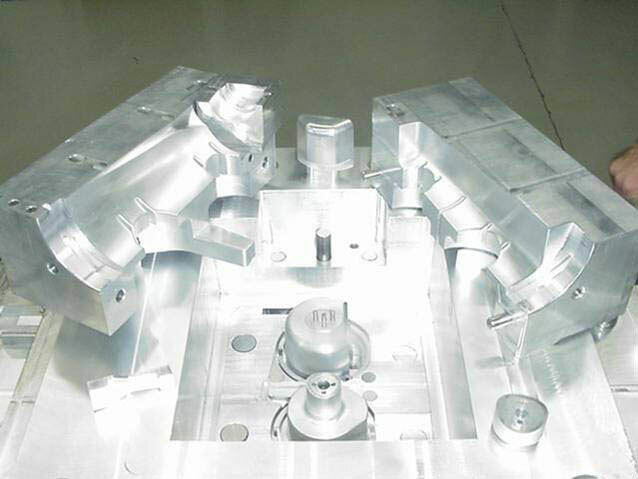 Aluminum tooling is just for prototypes and low volumes. Aluminum Alloys such as: 7075, Alumold, QC-10 and Hokotol have a Brinell hardness range of 150 to 180 and a Rockwell hardness range of B82 to B87. These are just a few of technologically enhanced heat treated Aluminum Alloys disproving the “soft tooling” – “short run” – “low-volume” stereotype Aluminum tooling has built up over the years. Depending upon the abrasiveness of the resin used and design it is easy to get 100,000 – 1,000,000 + components from an Aluminum tool. 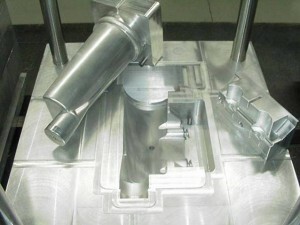 Limited Resin types can be used in a Aluminum mold prototype. The truth is that unfilled resin types like ABS, Nylon, Polycarbonate’s and Polypropylene’s are easier on Aluminum molds. But high temperature resins like Ultem and Vectra to name a few can be used also with success. Even abrasive resins such as glass filled types can be used. In the case of abrasive resins, care just needs to be taken to avoid excessive wear by using a hardened Aluminum Alloy like the above mentioned 7000 series, QC-10 or Hokotel which all hold up extremely well due to their durability. If the volume requirements are needed in Glass-filled or abrasive resins, options are available in the Aluminum mold such as; Case hardening of the Aluminum with successful known processes such as anodizing or plating, or inserting certain areas of Aluminum with Steel. Aluminum cannot be used for production quantities. How does 100,000 – 1,000,000 + production quality plastic parts sound? Not exactly short run or low volume. For many projects this is more than enough for the entire project until the next design change or upgrade. Of course higher production quantities can be achieved depending upon the resin and design. Aluminum tooling is also perfect for keeping market place share when bridge tooling is needed to produce plastic parts until the production tool is finished. An added benefit is that if the tool life is exceeded, Aluminum is forgiving and easy to maintain and enhance in order to get those last few plastic parts until the hardened steel production tool is ready. Aluminum tooling has limited textures and finishes vs Steel Alloy tooling. Almost any finish that can be applied to a Steel Alloy mold can be applied to an Aluminum mold. This includes finishes and surface grades from SPI, Mold-Tech, Raytheon or any other industry, OEM finish specification. It’s very rare to find a finish that cannot be applied to Aluminum. This myth may come from small closed in features on a design where it’s difficult to apply texture. Or the extra hand work required in polishing highly aesthetic surfaces like those for optical components, chrome plated, or any other texture finish that requires an ultra smooth finish which is touched and seen by the consumer that might be more work than some rapid tooling shops specialize in. Aluminum tooling process issues isn’t optimum for potential process issues. Nothing is worse than all the random gremlins that can plague a Steel Alloy or Aluminum Alloy tool. However this is an apples and oranges discussion. Aluminum’s greater thermal conductivity can reduce or eliminate most of the common process issues with molds. Aluminum’s nature allows for even heat distribution. This leads to a more even part fill with no hot or cool spots. An Aluminum tool also cools evenly which keeps a part’s integrity and protects it from shrink warpage. The thermal conductivity of Aluminum Alloys has been proven to substantially reduce cycle times; which directly translates into lower costs and faster parts. The high strength of these Aluminum Alloys is due to their being developed initially for the aerospace industry and the need for quality consistent metals. 30,000 feet in the air is not the place to find out that the dimensional stability of your Aluminum is not uniform in strength. Tool modifications to soft tools like Aluminum molds are too difficult and expensive. Aluminum couldn’t be more accommodating to design changes or from troubleshooting possible production issues. Internal issues like gate locations to insert redesigns, making changes is not as much of an issue as a Steel Alloy would be due to its forgiving softer nature. This is also true for the actual design. Minor modifications and tweaks are rather easy and cost efficient. Aluminum tooling cannot handle complex designs. Good design needs to be incorporated with good manufacturing. Both are co-dependent upon each other. This is entirely why we offer pro-active design support and initial design reviews. No design is too complex. 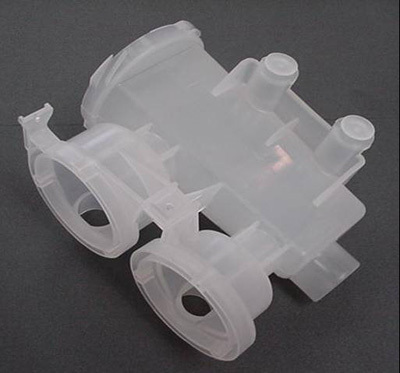 All designs require a basic understanding by the plastic molder of the intended end user experience. Then scientific molding principals can be applied to meet that objective without compromising the design. That is how we can achieve complex geometries that require under cuts and either mechanical slides, lifters and hand loads. Aluminum tooling is too expensive vs P 20 tooling. There is the misconception that Aluminum tooling is more expensive than other rapid tooling options. This is so subjective to the actual project. Figuring out the inter-dependencies could keep a designer busy long enough to miss the market timing. Aluminum molds built by PHOENIX PROTO can start as little as $900. Of course, design complexity will determine costs but know that we will match or beat any competitive quote. Aluminum tooling a plastic prototype before creating a production tool can actually save money when the learning curve is factored in. After all of the tweaks and grooming is finished the project is actually left with useful information on how the design interacts with the actual manufacturing process. This information is vital if the project is being taken to the next step with a production tool. Learning how the resin flows within the design in real time not virtual mold flow, cuts time off the learning curve in ramping up production that needed to be running yesterday. As anyone with a tooling and molding background knows, it might be by the book, look great on paper, all the studies say it’s a go and yet the process needs intervention by experience. We’ve seen this happen time and time again. All the cost savings gone, due to waiting till production to find tune the process. Add in the ease of changing design features or creating modifications lessens the cost impact upon having to perform those same changes upon a much more expensive production tool. Combining all of these cost impacts more often than not results in the minimal cost of Aluminum tooling looking like a really good investment in the big picture of profits vs costs when compared to more restricted methods. The study’s focus was to grow market share and increase competitiveness in their given market which is highly competitive and regulated by various standards which reduces low cost design and manufacturing options. They found saving on their tooling investment through faster machining efficiencies because Aluminum cuts faster and easier than steel. Processing was easier due to Aluminum’s greater thermal conductivity. Family tools and controlled mold sizes reduced mold set costs and reduced needed injection mold size range to produce components. Using various grades of Aluminum based on quantities forecasted further reduced costs. Lower clamp and injection pressure, which is reflected in less machine wear, less mold wear, less electrical casts and possibly less wasted mold material, with all savings that are passed on to the customer. Study used an Automotive part (Instrument Panel Cover), which required not only texture, but also (4) mechanical cam slides and (14) lifters for designed undercuts. Faster cycle times by 15% – 30% due to greater thermal conductivity. Texturing and repair was found to be comparable to P 20. 7000 series Aluminum Alloys are recommended for part quantities of 2,000,000. 3rd party testing of Aluminum Alloys used in the study showed that all Aluminum alloys showed increased strength, hardness and abrasion resistance proving manufacturer claims. Study recommends various Aluminum Alloys for production run determined part volume requirements.